They might not be the largest pet around, but to say that the list of equipment for birds is extensive would be an understatement. The likes of cats and dogs might usually grab the headlines, but when it comes to equipment few pets will challenge the bird. Fortunately, on the whole at least, much of this equipment is inexpensive to buy meaning that it’s merely a case of quantity over price. As is the case with any small animal, there is an element of safety whilst buying such equipment. The vast majority of equipment for birds is perfectly fine, but you still must keep an eye out for possible choking hazards and even the type of paint used on them. Following on from the above, let’s jump into the exhaustive list of equipment that birds need. Most of you will have understood that your bird needs a cage; it’s the most basic piece of equipment that you’ll purchase. Something that many of you won’t have realized is that you’ll actually need two cages though. 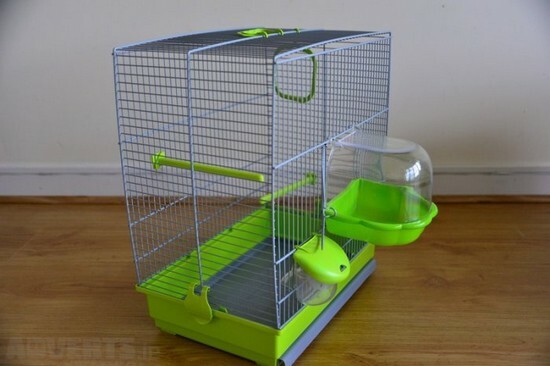 In relation to the first cage; this is their main home. It’s the place where your bird will spend most of his days and nights, so it needs to be pretty significant in size. When we talk about size, they must be able to flap their wings, so make sure your chosen cage satisfies this. The size of the cage will also be dependent on the type of bird that you have. For example, finches will tend to need cages that are wider, as they don’t fly upwards. Parrots on the other hand climb upwards, so a taller cage will be necessary. It’s not just about the total volume of the cage though. You also have to consider the gaps between the bars. A cage which has unsuitable bars may result in your bird’s foot being trapped. In terms of the second cage, this is all about traveling. Naturally, not all of you will have to purchase such a cage, but we’re going to assume that you’ll want to take your bird away at least once in a while. This might be something like taking your bird to the vet so on the most part, it really is an essential piece of equipment. 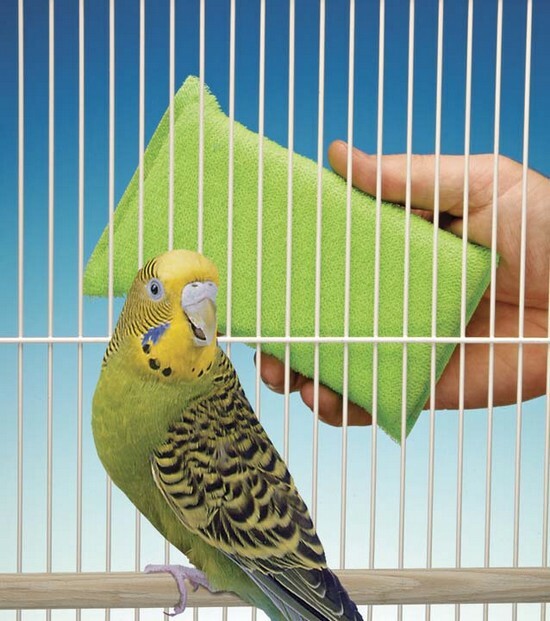 Alternatively, some owners will place their bird in the cage when they are cleaning their primary cage – so there are a whole magnitude of uses in this regard. We’ve just spoken about cleaning, so it makes sense to continue the topic here. While birds may self-clean a lot, when it comes to their cage the onus is all on you. Most of the time, white vinegar diluted with water is more than sufficient to clean the cage and any toys which are in there. However, you may also want to arm yourself with an enzyme cleaner based in a spray bottle, as there will be occasions where some of the stains are pretty tough and a stronger approach is necessary. In terms of applying the cleaning product, you’ll just need a paper towel and bottle brush. Some people may also decide to apply the products with rubber gloves and other protective equipment, but really this is down to you and it’s not essential equipment so to speak. If this guide was for the purposes of a dog, it would be relatively straightforward. In the case of the bird, there’s not just a one-fits-all solution. Instead, there are two types of dishes that birds can use. The first comes in the form of a hopper. In simple terms, this is a dish that slots behind the bars of the cage and is a much cleaner solution. Less water evaporates, splashes and there’s the small factor that the risk of drowning is almost eradicated. It’s for the above reasons that they are ideal for less intelligent birds, who might be more at risk of drowning. The likes of budgies and canaries are prime candidates for a hopper. In the case of conures and birds of a similar ilk, a heavy metal or ceramic bowl might be more suitable. The reason this is more suited to birds of this species is because they like to play with their food, as well as put their head in their water. Naturally, if they were using a hopper, this wouldn’t be possible. 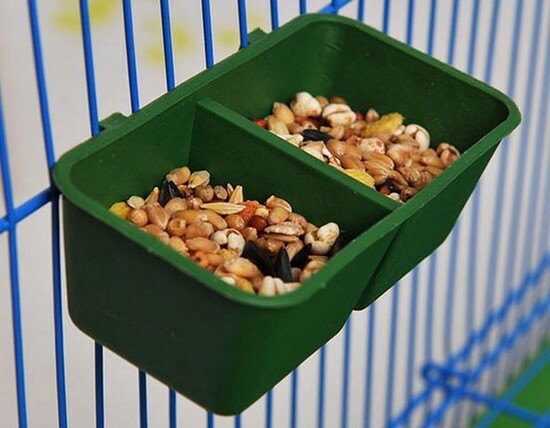 There are various attachment brackets you can buy to keep the bowl attached to the side of the cage and reduce spills, which again makes them a favorite amongst owners. On the subject of food, you may also decide to purchase foraging toys. This is effectively a form of puzzle, which the bird will manipulate until food is released. A lot of owners like them as it provides the bird with a sense of what they might have to do in the wild to survive, as well as being exceptionally stimulating. We’ve mentioned how some birds like dipping their head in the bowl to wash themselves, but that doesn’t mean to say that you can do without a bird bath. Just like humans, some birds might prefer a shower though. It’s possible to merely use a spray bottle for this effect, with the mist-effect often being a favorite amongst the likes of finches and cockatiels. If you are opting for a bath, a plastic option will suffice. There are umpteen baths available on the market and many are designed for different species, with their design dependent on their size etc. 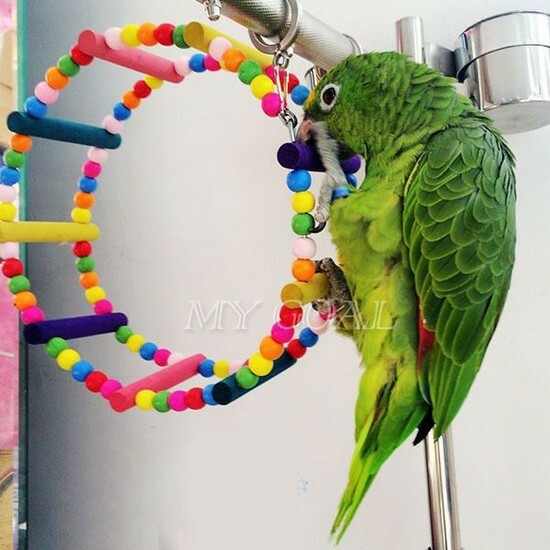 Something else that we have already touched upon is bird toys. Foraging toys have already been discussed, and are always recommended, but this isn’t the only toy you should provide for your bird. Anything chew-related is always recommended, particularly if you have a hook-billed bird. These chew toys will keep such birds occupied for an age and if you can find one made from either wood, twisted paper or cardboard, you’ll have provided them with the perfect stimulation. 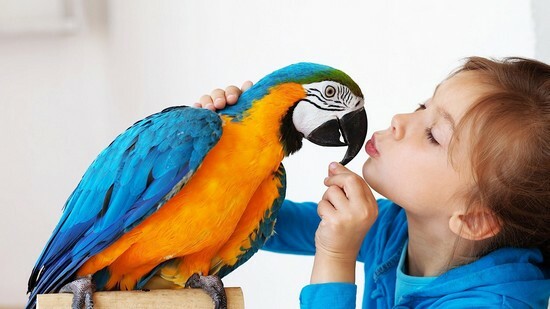 A lot of owners don’t realize that birds are very much like small children in the way that many of them like soft toys. A lot of species will simply love to cuddle up to a cuddly toy but again, size matters, and the size of the toy will largely depend on the size of the bird. 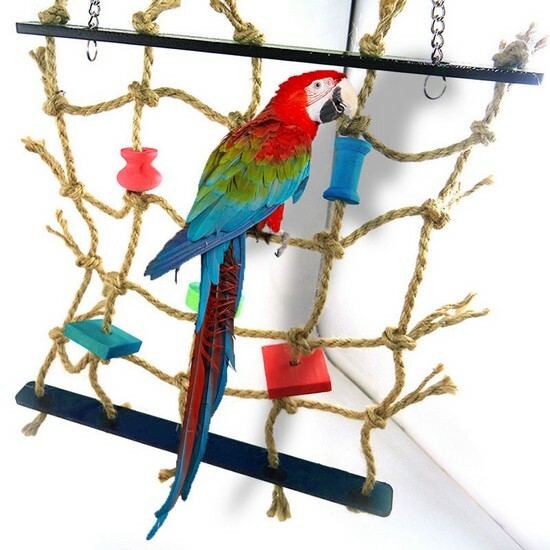 If you have a type of bird who would naturally live in thick foliage, make sure that the cage has enough areas where they can hide these toys in so they feel completely at home. If a bird was out in the wild, it goes without saying that they would have umpteen areas to sit on branches and the like. 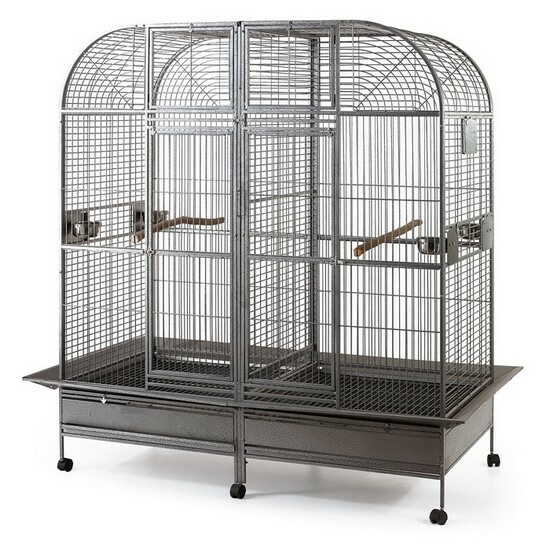 It means that your cage needs to replicate this, with perches and ladders helping to form the optimum environment. As you will have probably been able to gather from this guide so far, there are different requirements based on the type of bird you have. It means that you should only acquire perches that are large enough so that the toes of the bird don’t overlap. As well as this, the material matters, and anything made from natural-wood is sure to be a winner for most species. In relation to ladders, ones of the wooden variety are also recommended. While some birds, such as finches, might like textured plastic ones, on the whole a wood option is always advised. In a similar vein, a lot of birds like to have a swing in their cage, if space allows. As you can see, keeping a bird is no small feat in relation to equipment. However, on the most part, this equipment isn’t going to cost the earth to buy. The biggest investment comes in a good cage and you’ll also find that over time, you can slowly accumulate toys to keep them happy. As you will have probably been able to infer through the page, the main message is to make sure you are buying the appropriate accessories for your species. This is crucial from both a happiness and safety standpoint and if you can satisfy this requirement during the buying process, your bird is going to be much more at home in their environment.